It’s Monday and the start of a very busy, very awesome week, y’all! It is the dawn of the music portion of SXSW. I am so pleased to announce WWLA has teamed up with This Town Press to bring you an afternoon of fun. 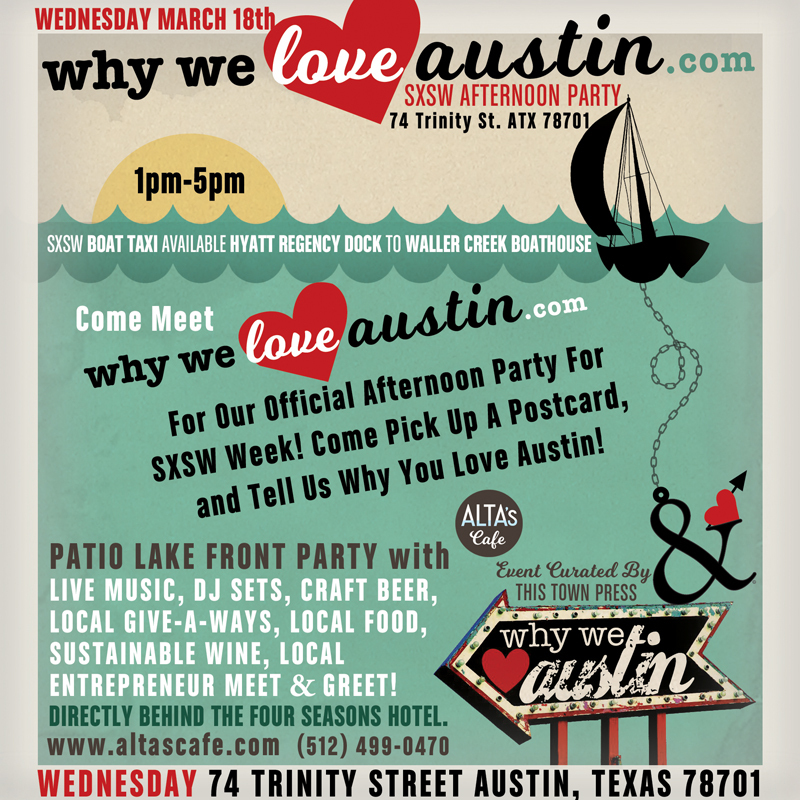 Take a Break & Walk to Alta’s Cafe at Waller Creek Boathouse on Lady Bird Lake for an Outdoor Lake Front Patio Live Music Event. See more deets here! LOCAL GIVE-A-WAYS GIVEN OUT DURING THE ENTIRE EVENT! LIMITED NUMBER OF FREE DRINK TICKETS FOR GUESTS! Excited to see you out!